Barn in Shaftesbury, Dorset, England - Peaceful Location, With Local Pub, Village And Shop (1.5 Miles) 40 Mins To The Jurassic Coast. A beautiful barn conversion set in an elevated position off a no thought road in the heart of the Dorset, near the historic market town of Shaftesbury. Ample car parking space in the grounds. A central location for Longleat, Stonehenge, Stourhead, and the beautiful cities of Bath and Salisbury. Fantastically light and spacious, totally private. Country side walks from the barn into the Blackmore Vale and across Dorset downland. Compton Abbas Airfiled with restaurant and tea rooms, within hiking distance or a short drive. Within a 40 minute drive you will find sandy blue flag beaches or the world renowned rocky Jurassic coastline. 2 en-suite bathrooms with shower, wc and basin. 1 bathroom with bath, shower, basin and wc, 1 shower room with shower, basin and wc. Comfortable seating for 8. Wood burning stove. Spectacular views out of the 7 meter glass opening with sliding doors onto the south facing patio. TV, DVD player iPod connection and WiFi. Several golf clubs in the local vicinity. Wheelchair friendly, as all on one level with ramps to access and exit the buildings one step. We had an amazing stay at this beautiful house over the New Year period. We were a group of 4 adults and 5 children and we couldn’t have found anywhere better to meet all our needs. The house is fantastically laid out all on one level which was perfect for the children. Bedrooms and bathrooms are finished to a high standard and the whole house was the most well equipped of any rental property we have ever stayed in. We had a one year old with us and a cot was ready and waiting for him on arrival, along with a high chair and a wide selection of toys to keep him amused. Despite the weather being cold, all of the children still made great use of the wonderful enclosed garden which I’m sure, must be a delight in the summer months. The house was decorated for Christmas still with a lovely tree, various decorations and pretty lights. During our short break, we visited Lyme Regis, Corfe castle, Shaftesbury, all within fairly easy reach in the car. We had a great time and wished it could have been longer. We hope to return! Thanks Melanie so glad you had such a lovely stay. Look forward to seeing you again soon . Thanks Deborah, glad you enjoyed your holiday and look forward to seeing you again in the future. All rooms were clean and modern with easy close parking. 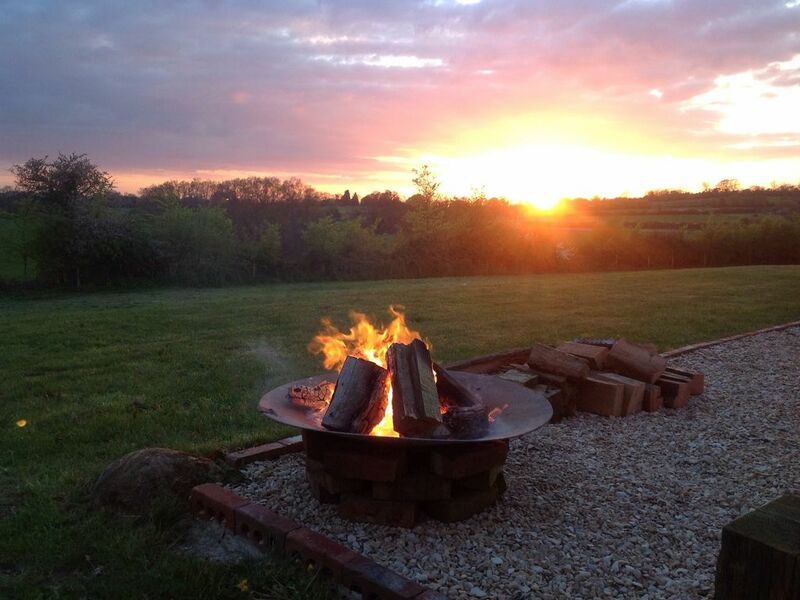 Great location to explore Dorset or spend time at the piggeries taking in the view with a bbq. If you are looking for a peaceful location and 5 star accommodation then this is the place to book. We were lucky to have amazing weather so made good use of the BBQ and garden, and the local pub The Fontmell which does excellent food. We loved our week in the house and will hopefully book again one day. Thanks Wendy hope to see you all again soon. Gorgeous property in a beautiful setting. The Piggeries is a lovely spacious barn set in a stunning setting. Beautiful views and so peaceful. We were staying with our grandsons and it was ideal for toddlers, being all on one level. We really appreciated all the extra ' baby stuff' especially the double buggy!! They also loved the toys and games in the safe garden. The Piggeries is ideally situated to explore the beautiful Dorset countryside. A trip to Longleat is well worth it ( especially if you have Tesco vouchers!! ). We also enjoyed exploring Shaftesbury, Old Wardour Castle , Stourhead and Sherborne. Good food at the local pub and lots of footpaths to explore in the surrounding countryside. We hope to come back!! Thanks Cheryl, so glad you enjoyed your stay. Look forward to seeing you again soon. We stayed for a week at this beautiful conversion. There were 5 adults and 2 children, and it was perfect for us. The grounds were awesome, and the kids made the most of the space. The facilities were 10/10, as was the cleanliness, we could not fault it. Thank you Sam! Glad you enjoyed your stay, Paula, look forward to seeing you again. 40 minutes by car from the beautiful coast, including Sandbanks, Studland and the Jurassic coastline. Nearest airport for private flights is Compton Abbas, and commercial flights is Bournemouth. Train station is Gillingham, 2 hours from London. Bus service to/from Shaftesbury and Blandford.